There are several things to take into consideration when it comes to keeping a car roadworthy. In addition to its regular maintenance and inspection at authorized centers by an experienced technician, there is a requirement of a certification which could ensure that the vehicle is safe to operate and run on roads. Generally, vehicles that more than five years old are needed to be inspected and checked if they are trustworthy enough to drive. These vehicles could be passenger cars, motorcycles, vehicles carrying goods trailers and caravans. The safety check that these vehicles require is known as pink slip. In other words, pink slip can be described as a kind of legal vehicle form that acts as a certificate of title that the vehicle is safe to operate on roads. The certificate specifies a list of things, such as information about a vehicle, date and year of manufacture, technical information, weight, legal owner and if the money has been borrowed on that vehicle. By looking at the registration renewal notice or year of manufacture can help know if the vehicle needs a pink slip. Why Pink Slip Is Required? Pink slip, sometimes also called as rego check, is a certification which states that the vehicle does not have any issue and is safe to operate. It is a safety check that is needed to be passed before filing for renewal of registration of a vehicle. 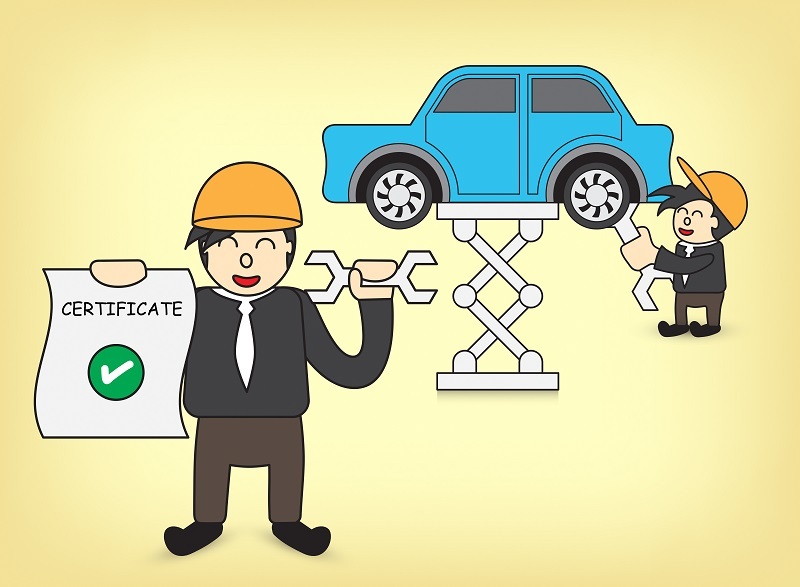 If a vehicle fails to get certification or does not pass the safety check, the vehicle’s registration certificate cannot be renewed. To renew, the vehicle owner has to make provider required repair to the vehicle, make necessary changes for it and apply again for pink slip. During the time of rego check, the vehicle owner is told if the vehicle requires any kind of repair. After that, they are given time to make the necessary changes in the vehicle to get the pink slip. On the other hand, if one passes the safety check, they are given safety check report which further could be shown on a renewal certificate of registration of a vehicle. In some cases, the pink slip is also used to confirm the actual owner of the vehicle. As it includes detailed information about the vehicle and its owner, it can be used as a proof to show the vehicle has been purchased legally and is not stolen. How to Get Pink Slip? As having a pink slip is necessary, especially for old vehicles, one can get services related to it from authorized centers. These places are also known as safety check inspection stations. Once staff members of these centers are done with inspecting all the elements related to the vehicle which ensure that the vehicle is safe to run on roads, they help the owner in getting the pink slip so that the registration could be renewed easily. If a vehicle fails a safety check inspection, these centers tell about the problems and repairs that a vehicle needs. Getting recommendations from the center, an owner can make necessary repairs to the vehicle and get it checked again for the slip. In the failed safety check scenario, the owners are given around 14 days to get their vehicles repaired and apply for the slip again. They cannot apply for renewal of vehicle registration without getting clean chit from pink slip centers. If an owner fails to repair the vehicle within 14 days of failed safety check inspection, their report expires and they have to apply for it again. Here, people must ensure that they are visiting only the authorized centers to get the pink slip.